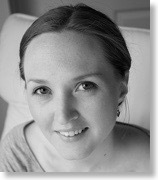 Laura POOLEY graduated from Oxford with first class honours in Classics and English. She studied singing at the Royal College of Music, London and joined the chorus of Welsh National Opera. 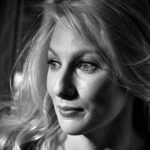 Her repertoire includes Pamina in Die Zauberflöte for Suffolk Opera and Pavillion Opera, Ariene in The Hidden Valley for Welsh National Opera at the Tête à Tête Festival and the UK tour, Gilda in Rigoletto for Opera Brava, Mary Crawford in Mansfield Park for Hampstead Garden Opera, Susanna in Le nozze di Figaro for Mon Ami Theater Weimar and Sommertheater Tiefurt, Germany and Female Lead in A Real Princess for Welsh National Opera. She sang Fiordiligi in Così fan tutte, Lucia in Lucia di Lammermoor and Violetta in La traviata for Pavilion Opera and sang Madam Butterfly for Commedia. Charlotte KING was awarded a BMus (Hons) and MMus with Distinction from Goldsmiths College, University of London and later completed the Guildhall Artist Masters (MMus) at the Guildhall School of Music & Drama where she sang the roles of Carmen, Suzuki in Madama Butterfly, Rosina in Il barbiere di Siviglia, Poppet in Paul Bunyan, Zenobia in Radamisto and Isabella in L'italiana in Algeri for Studio Scenes. She performed Siegrune in Die Walküre at the St. Endellion Festival, Sesto in La Clemenza di Tito and Sorceress in Dido and Aeneas for Riverside Opera, Aunt Jane in Hugh the Drover and Third Lady in Die Zauberflöte for Hampstead Garden Opera, cover Old Crone and Mrs. Chin in A Night at the Chinese Opera, Pompea in The Little Green Swallow for British Youth Opera and as a guest artist for P&O Music Festivals at Sea. She sang chorus for Grange Park Opera and Garsington Opera in Fidelio where she also covered the roles of Owl, Forester's Wife and Mrs. Pásková in The Cunning Little Vixen. Jennifer WALKER graduated from the Royal Welsh College of Music and Drama with the highest possible honours, supported by several prestigious scholarships and winning almost all of the college’s prizes for both performance and academia. Aside from more conventional engagements with companies such as Buxton Festival Opera and Opera Holland Park, her singing has seen her perform on Later with Jools Holland with the Manic Street Preachers, in comedian Lee Evans' XL tour and DVD, and as a backing singer on Charlotte Church's latest album. Recent roles have included Mimì in La bohème and Violetta in La traviata. Jennifer will sing Gretel in Hansel und Gretel for Secret Opera in summer 2016. Melanie COTTON attended the Royal Northern College of Music. She performed Mary in the British premier of Tony Hatch and Jackie Trent`s Nativity, Julie in Carousel, Sarah in Guys and Dolls, Patience in Patience, Frasquita in Carmen, Francesca in Francesca da Rimini, Varvara in Katya Kabanova and Mimì in La bohème. 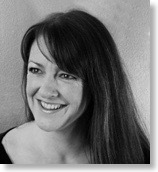 She regularly performs in oratorio and concert and has performed live and recorded for BBC radio. She has appeared with Suffolk Opera and has sung the roles of Violetta in La traviata, Mimì in La bohème and Micaela in Carmen for the company. She recently sang Micaela and Ciò Ciò San for Commedia Productions. 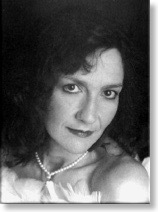 Lynn BOUDREAU studied in Toronto, Canada and sang throughout Ontario, including a concert with Andy Williams. In Britain, she has appeared with The Purple Theatre Company in I Love You, You’re Perfect, Now Change, with Imperial Opera in Cheryomushki and Something’s Afoot and with Surrey Opera in Fiddler on the Roof and Macbeth. She sang Lady Billows in Albert Herring at the New Arch Theatre and appeared as Carmen and Violetta at the Bromley Little Theatre. She played Carmen for Commedia Productions and Gianetta in The Gondoliers at Hever Castle and sang Violetta in La traviata and Musetta in La bohème for Suffolk Opera. She sang on a Far East cruise, toured the UK and Ireland in A Viennese Strauss Gala and has toured Europe and the UK with Opera on the Run. Elaine HENSON is a graduate of the Universities of Exeter and Durham and a singing Licentiate of the Guildhall School of Music and Drama. 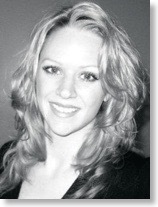 She is a soloist with Suffolk Opera, Commedia Productions, Lyrebird Opera, and with numerous choral societies. She has sung in France and on a tour of Chicago and Milwaukee. Operatic roles include Bizet’s Carmen, Purcell’s Dido, Third Lady in The Magic Flute, Berta in The Barber of Seville, Anna in Maria Stuarda, Flora in La traviata and Third Witch in Macbeth. 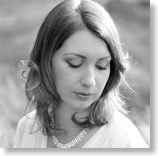 She has sung for the University of Essex Lunchtime Concert series as well as several appearances on Anglia Television. She sang the Alto solos in John Rutter’s Feel the Spirit, conducted by the composer, and was a soloist in Bach’s St. Matthew Passion under the baton of Sir Colin Davis. 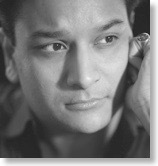 Anando MUKERJEE is India’s finest tenor. He has appeared in opera, concert, recital and oratorio throughout the UK, Europe and Asia with opera companies including Welsh National Opera, Scottish Opera, Opera Holland Park, Belgrade National Opera, Surrey Opera, Somerset Opera, Lakeland Opera, White Horse Opera, Opera UK, Aeolian Court Opera and Dorset Opera. In 2011 he made his US debut at the Kennedy Center, Washington DC in conjunction with the Washington National Opera. Anando has an extensive repertoire that includes the principal tenor roles in La bohème, Tosca, Madam Butterfly, La traviata, Rigoletto, Lucia di Lammermoor, Macbeth, L’elisir d’amore and Die Fledermaus. 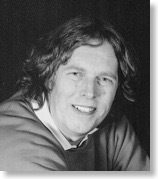 John GRAHAM-MAW began his musical career as a boy treble. 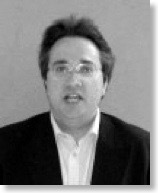 He was head chorister at Kings Choir in Cambridge and was soloist in numerous recordings. He sang at St John’s Cambridge and toured the UK, Australia, Belgium and Canada. He appeared with several other choirs, touring Sweden and the Netherlands. John then studied opera at the Guildhall School Of Music & Drama. With many oratorios under his belt, he has been a soloist for the New London Singers, the Barts Choir, and the London Orpheus Choir. Opera experience includes Mozart’s Bastien und Bastienne (Wizard), Ravel’s L’enfant et les Sortileges (tree/chair), Carousel (Mr Snow), Carmen (Escamillo), and La bohème (Marcello and Schaunard). 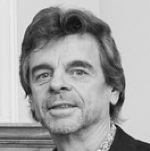 Mike HOPKINS has appeared as Marcello in La Bohème in several productions. 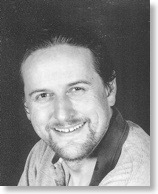 He has sung a broad spectrum of roles with a variety of companies including Medway Opera, Commedia Productions, Suffolk Opera, and was a member of the Kentish Opera ensemble and The Kenneth Moore Theatre Opera Group for a number of years. Major roles include the title roles in Macbeth and Don Giovanni, Papageno in Magic Flute, Belcore in L’elisir d’amore, Sharpless in Madam Butterfly, Malatesta in Don Pasquale, Escamillio in Carmen, Germont in La traviata, Alfio in Cavalleria rusticana and Tonio in I pagliacci. 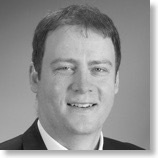 Mark SABERTON has an MMus in Advanced Opera from the Royal Scottish Academy of Music and Drama. He has sung with innumerable companies from British Youth Opera to Scottish Opera. Equally at home on the concert platform, Mark has performed a variety of oratorio and recitals throughout the UK and Ireland and works regularly with the Dunedin Consort. On recording he appears as a solo Janissary on Sir Charles Mackerras’ version of Die Entfuhrung aus dem Serail with the Scottish Chamber Orchestra. His most recent engagements were a series of Opera Gala engagements for Silversea Cruises and several roles with The Savoy Opera and Opera Project. Laurie KUBIAK was born in New Zealand. After graduating in music from Auckland University he emigrated to Europe where he has sung more than twenty principal roles in opera. He has previously sung the role of Zuniga with Commedia Productions at the Hackney Empire and has sung Escamillo and Colline for Suffolk Opera. He has also appeared frequently in oratorio and was for many years active as a session singer. David ROSE has devoted himself to the main tenor character roles in the operatic repertory. He has sung Goro, Beppe, Pedrillo, Spoloetta, Borsa, Benôit and Alcindoro, Dancairo and Remendado, Normanno, Don Basilio, Franz and Monostatos. He is a regular with the Kenneth Moore Theatre, Opera Nova and Aquarian Opera. He has appeared in musicals ranging from Jesus Christ Superstar, Carousel, Chicago to La Cage aux Folles. Glyn PAUL began his career in television soap-operas in his native Australia. He was awarded a scholarship to study at La Scala in Milan and went on to pursue a singing career in Italy. Engagements in a variety of German opera houses followed. 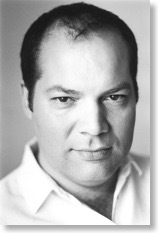 He has produced, directed and sung extensively in opera throughout Europe.